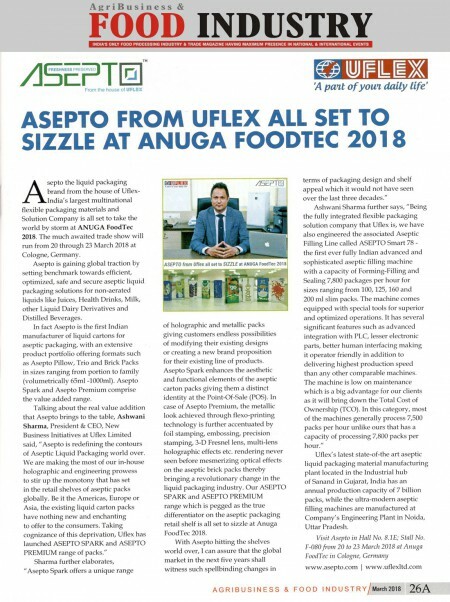 Noida, 13 March 2018: The shake hand between India’s largest fully integrated multinational flexible packaging materials and solution company Uflex and Italian firm Comiflex SRL that was announced during DRUPA 2016 has borne its first fruit. 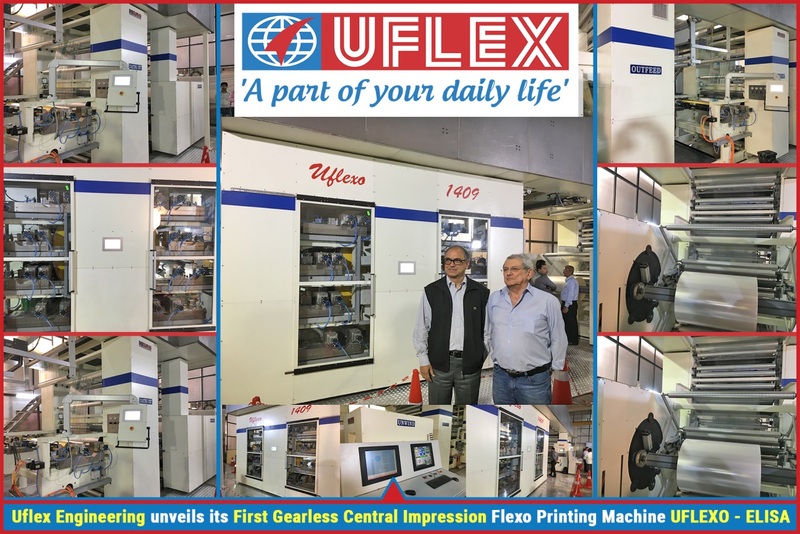 The first ever Made in India Gearless Central Impression Flexo Printing Machine is now ready at Uflex’s Engineering Plant at Noida, India. The printing press was unveiled on 08th March 2018 with several global clients of the company and trade media editors in attendance. 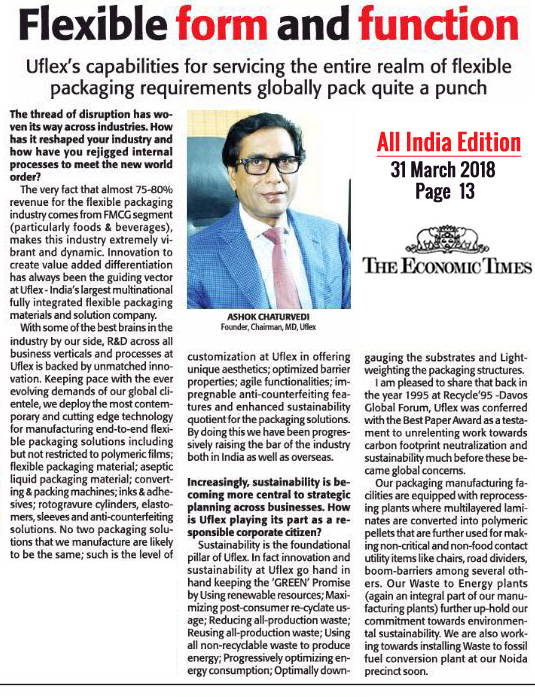 Explaining specific details about the machine, Mr. Sanjay Malik Sabharwal, Executive Vice President, Engineering Business said, “The central impression (C.I.) cylinder is a double walled steel drum with a diameter of 1400mm mounted on self-alignment roller bearings, rectified and provided with water circulating system. High precision digital ratio encoder is connected in axis with the C.I. cylinder to give a perfect synchronisation between central impression, plates and anilox mandrels.